Lives… in Reno with her many cats. Wiegel takes a cocktail of medications to treat her laundry list of mental illnesses, which can be traced to a drug raid in the 1980s. An explosion left her clinically dead for fourteen minutes and she hasn’t been the same since. Profession… deputy at the Reno Sheriff’s Department. Despite the widespread incompetence in the Sheriff’s Department, Wiegel is easily the least competent member of the force. A grown woman who can’t understand the rules of Secret Santa, Trudy is uniquely ill-suited to keeping the peace. Dimwitted, unstable, and prone to offending anyone she comes into contact with, Trudy is a greater threat to Reno than almost any criminal. Interests… arts and crafts, collecting baby clothes, Kenny Rogers. That paints a pretty accurate picture of the mystifying mind of Trudy Wiegel. Relationship Status… in love with Lieutenant Dangle, who regrets saving her life after that drug raid gone bad. She got over her crush briefly to date Craig Pullen, the elusive “Truckee River Killer.” With Pullen on Death Row, they maintained their relationship via conjugal visits and got married immediately before Pullen was executed by lethal injection. Challenge… depression. Her brain damage has led to a series of psychological problems that are very difficult to live with. She may have suicidal tendencies, or she may just have trouble operating in modern society. The department was assigned to a 72 hour Wiegel suicide watch after she left her car running in her garage. But in reality, she just fell asleep in her car before turning it off. Personality… gullible, neurotic, and volatile. 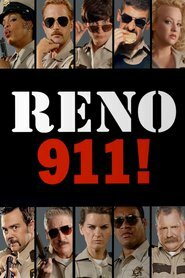 Wiegel is quick to alienate both citizens of Reno and her fellow sheriffs with her extremely inappropriate remarks. When it comes to all matters Wiegel, one must take not one grain of salt, but a handful. Trudy Wiegel's popularity ranking on CharacTour is #4110 out of 5,000+ characters. See our top-ranked characters and read their profiles.